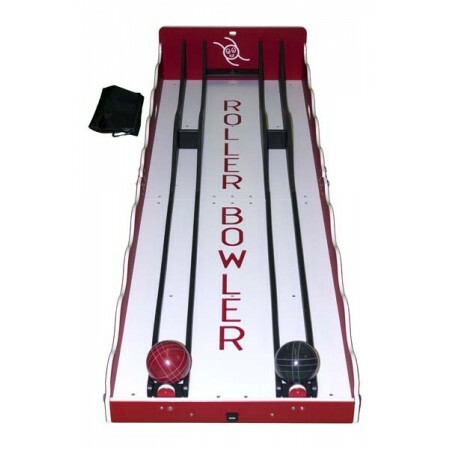 Roller Bowler II, the seemingly simple game of rolling the ball up the hill. But don’t be fooled! You must roll the ball hard enough to pass the first hill, but soft enough to not roll all the way back! Try to complete the task before the person next to you does!